At Kolander Auto Body, we believe attention to detail is the difference between average collision repairs and truly stunning vehicle transformations. For over a decade, we have built our reputation on providing Fulda area drivers with a seamless auto body repair experience, from the first phone call through unveiling a flawlessly repaired, awesome-looking vehicle (that you may have thought you’d never see again). We’re proud of the work we do, and once we return your car or truck to you, you will be proud of the vehicle you drive. It’s attention to detail that makes the difference between average and stunning. Collision Repair & Restoration for Vehicles Old to New, Red to Blue & Everything in Between! Our auto body techs perform collision repairs and auto body work at the peak of industry standards, utilizing the latest equipment, training, and resources. We work on all American, European, and Asian vehicles, ranging from daily drivers to full-size trucks to vintage classics to farm equipment. Every job and every vehicle are treated with the same attention to detail and level of care. 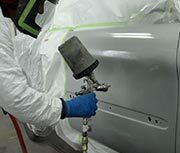 If you’re looking for custom paint, or color matching is your concern, you’d be hard pressed to find a more skilled auto paint shop in the area. We know needing auto body repairs after a car accident or other incident is never convenient or welcome, so we work hard to do everything in our power to make it easy for you! You want to get back on the road as quickly as possible? We aim for promptness and accuracy to avoid repair delays or any rework. You need to drop your car off before work, and can’t get a ride to pick it up? We’re open early and offer free pick-up and delivery! As an independent auto body shop, we work for you, our customer, first and foremost, not the insurance companies. 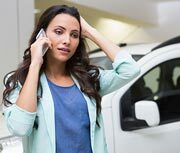 But we will work with your insurance company on your behalf to make sure your vehicle is restored to pre-accident condition as soon as possible. We will never perform an inadequate or unsafe collision repair for any reason. At Kolander Auto Body, we aim for your complete satisfaction, not the insurance adjuster’s bottom line. "If you like being treated with honesty and professionalism, then Kolander Auto Body is the only place to get your body work done. Besides, the work they did on my truck is amazing! It is so refreshing to get treated right and to have a business do what they say they are going to do! I will recommend Kolander Auto Body to everyone I know!" 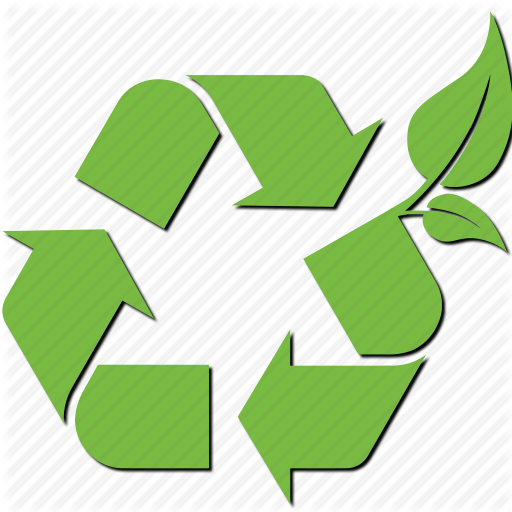 Kolander Auto Body has switched to waterborne paint, it's a more eco friendly paint than the solvent paint. Today's waterborne coatings meet industry standards while still providing the same coverage as solvent-borne coatings, and that's why Kolander Auto Body now uses waterborne paints in our paint facility. This gives our customers the same great paint jobs they've come to expect, while helping the environment. We’re glad to live and work in a tightknit community, where handshakes mean something and people appreciate honesty and hard work. Neighbors help each other out in times of need, which is what we strive to do when people come to us after an accident—for the good of our customers and the community. In addition to Fulda, we serve Worthington, Slayton, Windom, Wilmont, Iona, Avoca, Dundee, Brewster, Heron Lake, Rushmore, and all other surrounding areas. If you’re looking for us, our shop is conveniently located at 13232 Palm Avenue, near Highway 59. At Kolander Auto Body, our commitment is to you! We believe excellent service is not only performing all your repairs perfectly, but also treating you like family (in a good way!). Contact us today at 507-425-3349 for your next auto body service!